If moms reach out for help (some do, and this is great!) they are often advised to see a chiropractor skilled in working on newborns in pain. Hospital birth, as it stands in most U.S. states (and all the interventions and complications that arise as a result of 'violent' birth) reeks havoc on many bodies -- those of birthing mothers and the little ones they bring into the world. But when so few seek out information or education ahead of time -- before bringing a new life into this world -- and even fewer still have access to skilled help and accurate and adequate information to make wise, health-conscious decisions -- I am left wondering how we reach those parents? See, it is easy to educate and inform those seeking research-based information. In fact, most parents who do spend the same amount of time (or more!) researching birth options, breastfeeding, intact care, infant sleep, vaccinations, etc., as they do researching which stroller/carseat/layettes they wish to put baby into, come to fairly solid (baby-friendly) conclusions. Birth works best when left alone and trusted. Breastfeeding and keeping babies whole is normal. 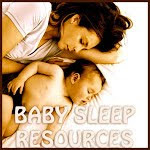 Babies sleep best near their mothers. Crying is indicative of an unmet need that must be figured out. Vaccinations must be weighed on an individual, case-by-case basis according to a child's specific needs and risk-factors, for any one manufactured injection, illness, or desired life-long, natural immunity. 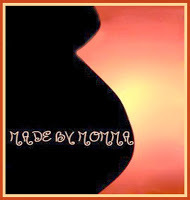 While we were hesitant to start the Facebook page for DrMomma.org in 2009, I am now thankful it was done. Although there are far too many misinformed comments (and sometimes, sadly, some rude comments) left by readers, there are also *MANY* people reached who would otherwise never have stumbled upon research-based, mother/baby-friendly care information. It is simply a fact (as much as it makes me cringe) that many young parents-to-be are getting their information about birth and babies from pop media sources and social networking sites. Yes, family influence certainly plays a role in everything: "what my mom did..." or "my dad told me..." or "my best friend knows someone who..." still matters a great deal. But if each one reaches one, then accurate information goes a long way. And you never know when you may be treading on fertile ground... That post you share on Facebook, or the tweet you toss out to the world on Twitter may seem rather insignificant in the grand scheme of things, but there are many, many, MANY parents who have written us (and we are just one source of information among countless) to say thank you for giving them a go-to guide for research based advice after they stumbled upon a post that a friend-of-a-friend had shared. I encourage you - as silly as it may seem if you are a 35-yr-old mom or a 65-yr-old grandfather - to post and re-post items you find useful and informative online. Have a saved file of general comments packed full of additional useful links (babywearing/breastfeeding/intactivism/sleep/fussiness/carseats/vaccines/diet/etc. ), and copy/paste this paragraph to any message board or thread that you come across where new parents are posing questions on a given subject. You do not need to spend all day there, and in fact, it may be best for your own sanity if you don't go back to read follow-up comments (especially on sites like "16 & Pregnant" "Parenting" "Circle of Moms" "Baby Center" and the like). But just putting your voice, with extra links, out there serves a bigger cause, and changes the world - little by little - each and every day. You can know you made a difference for at least ONE. And that matters! One easy, friendly way to approach parents (or pregnant mommas) you see is to simply say, "Congratulations! Some of the info on this site really helped me when I had a baby..." Smile, hand a card, and continue on your way. Simple. Helpful. And s/he can take it or leave it. :) With this non-intrusive, quick, light-hearted approach, I've never had anything but a positive reaction from parents. Cheers to all of you in service for a gently parented next generation. You always inspire me! Everytime you post, I fill with joy. I love all of your articles and it has helped me so much in deciding what is best for my son. When my dad told me circumcision is best for my son, I tossed a few articles you posted and wrote his way. Not that it changed his mind but least I had something to show him. I am so happy you found a teen mothers group that aren't ignorant as the ones in mine are. I go to a teen mothers group mondays and tuesdays and they are all ignorant about circumcision and breastfeeding. Few of them have sons but most of the ones that do have circumcised and out of about 30 girls I am the only one who breastfed longer than a month. But thank you. Thank you for every single post. Thanks for this! I am always getting flack for what I post online and this was a nice reminder that it is worth it! God bless you and your continued proclamation of truth and common sense. I am constantly trying to peacefully plant seeds to others. I believe our efforts ripple out and affect many. By the way, my sons are thankfully intact, but I have learned so much more on your site that I never knew before. Consequently, I have become even a far more impassioned intactivist! 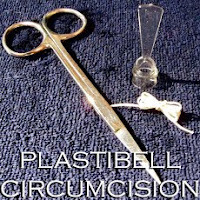 Your blog has a plethora of circumcision resources for which I am very grateful. I am also very passionate about un-interfered with natural homebirth, delayed cord clamping, breastfeeding, avoiding vaccines, government schools, and other toxins, and many other aspects of natural living and parenting. While all of these things seem obvious, so many do not question what society has taught them. While some will argue facts we present, there are many who will hear, and learn, and then share with others. Thank you! Thank you for what you do! I have just been getting comfortable with using my FB page to share information and I needed the reminder of what an important "tool" sharing your beautiful blog can be. I will be sure to do so more adamently. I sometimes wonder if I should have a separate page for my 'birthy' stuff, so I don't bore or annoy the other people on my lists... Thank you for the reminder; and I love the idea of planting seeds! Yes, people need information. If one thing someone posts and I repost, gets sent to even one mom who could really use it and it makes a change or improvement in her life, then yes, it's all worth it! @ ashley, i commend you for making the hard choices. i'm glad you found a place in your local LLL. Please don't feel weird continuing to go. Many of my friends ask why I still go. I've successfully breastfed 3 babies each thru their first year and beyond. LLL is not just about breastfeeding. 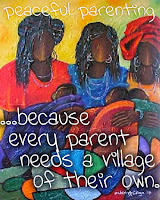 It is a great support for many moms, who are peaceful, attachment-oriented. You also never know who you may influence to continue even though they are struggling. 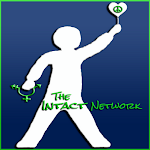 You can make a difference :-) you can also look on meetup.com for local attachment-oriented parenting groups. 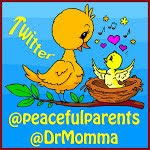 @drmomma, thank you for all the great info that you post. i have friends on fb who have blocked me from their newsfeed for all that i re-post. it is their loss. i also have had friends from high school or college ask me questions about pregnancy, birth or breastfeeding because of all that i post. i am a bradley teacher and have more resources to share with my students thanks to you :-) keep up the great work! For anyone that thinks that sharing on Facebook is useless, it’s not! You should keep posting and sharing, even if you do not get any response - EVER. I had a friend tell me in person the other day that although before reading all of my posts he would have circumcised any sons that he may have, that because of everything I post, he would definitely keep any future sons intact! And he has never commented on any of my circumcision posts, never ‘liked’ them, nothing. So imagine if he never said anything to me; I would never know. So it makes me think that there are other people out there that I am affecting and I just may never know it. So I’ll just keep on keepin’ on, even if I never get feedback or if I always do, whether it’s negative or positive or in between. Thank you for giving me the knowledge, which gives me the strength to speak out. You are touching SO many, many lives. I can’t even wrap my head around it. First of all I love this website, I check your facebook page almost daily and recommend it to others! I am a teen mother, a lactivist, intactivist, and Practice AP parenting I am also going to be starting school to be a midwife when my son is older and has self weaned, and I am almost done getting my LC and doula certification. I always want to inform others on issues such as circumcision but I don't get taken very seriously most of the time maybe due to my age, but I still try to spread the word regardless, I have saved one little boy so far from MGM (I educated his teen mother), and it was an amazing feeling, I hope to save more! I love this. It is important to summarize one's process from time to time. 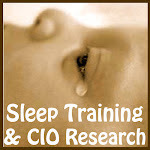 I am a highly informed 40 year old first time mom of a cosleepimg, breastfeeding, non-vax, intact son and I know enough to know that there is plenty I DON'T KNOW. Your blog is a staple in my parenting and without FB I'm not sure I would've found you. Thank you for saving my son from being left to "cry it out" by my husband!